Ambassador Kouassi Bile of Cote d’Ivoire delivers a congratulatory speech to the guests. The reception was attended by many important guests from all walks of life, including Korean government and civic leaders and members of the Seoul Diplomatic Corps, most of them ambassadors and their spouses. From the Korean side came Deputy Director General Koh Kyung-Sok for African and Middle Eastern Affairs at the Ministry of Foreign Affairs, Deputy Speaker Lee Ju-Young of the National Assembly (president of the National Assembly’s Forum for Africa’s New Era), and leaders from various other circles, including the mass communications media, who included Publisher-Chairman Lee Kyung-sik of The Korea Post media established 33 years ago in 1985 and now owning and operating five media outlets, 3 in English and 2 in Korean. From the SDC came many senior diplomats who included Ambassadors Thura Thet Oo Maung of Myanmar, Vitaliy Fen of Uzbekistan, Albino Malungo of Angola, Chafik Rachadi of Morocco, Difie Agyarko Kusi of Ghana, Olexander Horin of Ukraine, Antoine Azzam of Lebanon, YIP Wei Kiat of Singapore, Michael Reiterer of EU, Gonzalo Ortiz of Spain, Daúl Jesús Enrique Matute mejía of Peru. Many of the ambassadors were accompanied by their spouses. 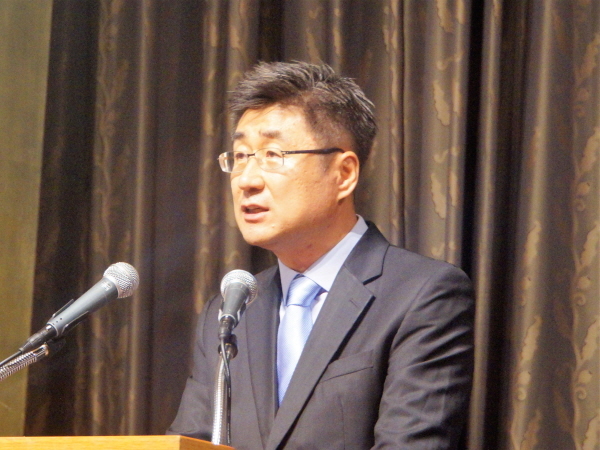 Then came equally impressive remarks by Deputy Speaker Lee Ju-young of the National Assembly (concurrently president of the National Assembly Forum for Africa’s New Era). 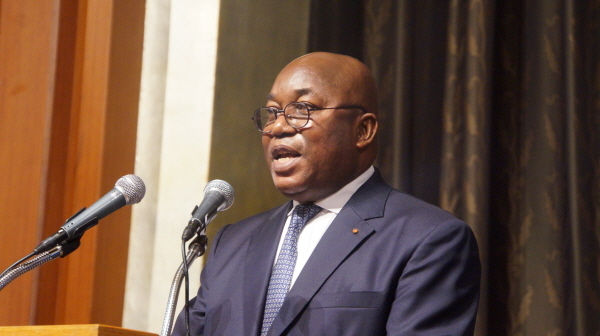 Then he stated, “Its economic capital, Abidjan, which is cited as one of the most beautiful cities in Africa, is home to the headquarters of the African Development Bank and has grown into one of the leading cities in the world. 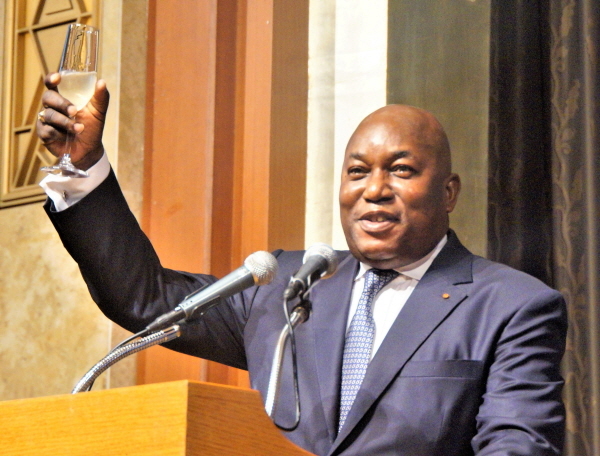 In particular, Côte D’Ivoire has seen its international stature rising further with a seat on the UN Security Council as a non-permanent member for the term 2018-2019.” See excerpts from his speech at the end of this article. Your presence, massive and of quality, at our side, on this solemn occasion, testifies to the vitality of the friendship between Côte d’Ivoire and your respective countries. 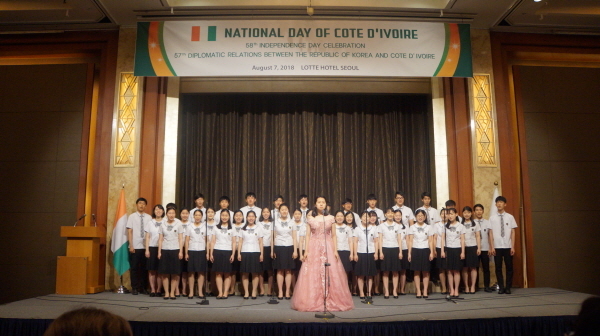 Tonight, we also celebrate the 57th anniversary of the establishment, on July 23, 1961, of diplomatic relationships between the Republic of Korea and Côte d’Ivoire. 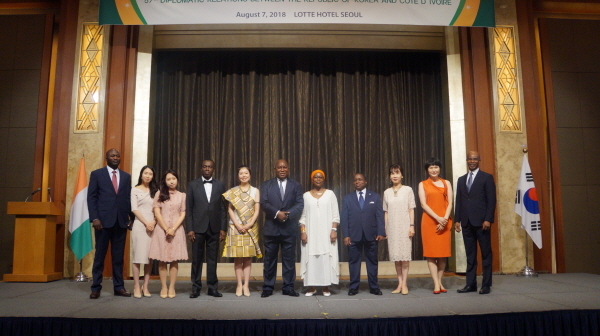 Ambassador Kouassi Bile of Cote d’Ivoire (11th from left, front row) poses with the Korean government representatives and ambassadors from many countries of the world at a reception at Lotte Hotel in Seoul to celebrate the 54th National Day of his country. I take this opportunity to convey, on behalf of President Alassane OUATTARA, the Ivorian Government and people, to the South Korea government, represented here by Mr. KOH Kyung-Sok, Deputy Director General, my infinite gratitude for the interest more and more asserted, that it bears on the ties that so happily unite the Republic of Korea and Côte d'Ivoire. 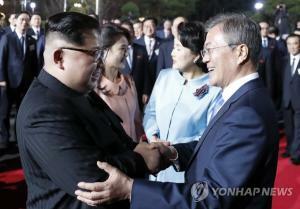 We are particularly happy to be with you tonight, in a context of improved inter-Korean relation. In this regard, the highest Ivorian Authorities, through my voice, extend their warm congratulations to President MOON Jae-In and his administration for the success of the two inter-Korean summits of April 27 and May 26, 2018. Mrs. Sarah Bile (spouse of the ambassador of Cote d’Ivoire in Seoul), 6th from left, poses with the spouses of other ambassadors. 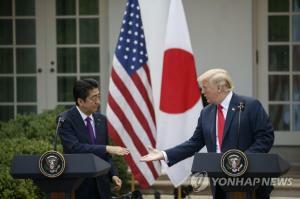 I would like, therefore, to express my country’s support for the way of dialogue and negotiation chosen by President MOON Jae-In, for the denuclearization of the Korean peninsula and the normalization of relations between the two countries. The National Day is a unique opportunity to take a moment to celebrate the privilege we have to hold our destiny in hand and to express our common desire to make our country a land of peace, fraternity and prosperity. It is around these values that the sons and daughters of Côte d'Ivoire have managed to come together to stimulate a new dynamic to their country which has recovered its regional leadership. Ambassador Kouassi Bile of Cote d’Ivoire (6th from left) poses with the staff members of his embassy. Our economy is experiencing strong growth, among the highest in the world. Indeed, the 7th report of the World Bank published on July 12, 2018 shows that in 2017, the Ivorian economy continued to grow at a rate of 7.8%, which allows Côte d'Ivoire to rank in the top 5 of the fastest growing countries in the world. Côte d'Ivoire, under the leadership of President Alassane OUATTARA, aims to become an emerging country by 2020 and it gives itself the means by the establishment of strong institutions and effective administration. 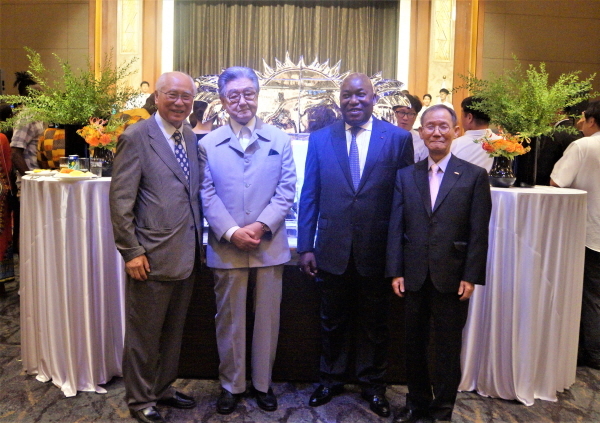 Ambassador Kouassi Bile of Cote d’Ivoire (2nd from right) poses with Publisher-Chairman Lee Kyung-sik of The Korea Post (far right), and Director-Curator Cho Myung-haeng of the Yeongwol African Arts Museum (former Korean ambassador to Nigeria) and Chairman Park Tong-sun of Parkington International (left and second from left, respectively). After the adoption of a new Constitution supposed to better guarantee the respect of the rights and liberties of each citizen, a second Chamber was instituted in the Parliament by the creation of a Senate which members were elected on March 24, 2018. Very soon, on October 13, 2018, Ivorians will be called to the polls to renew the mandates of their local elected representatives. On the international scene, since January 1st, 2018, Côte d'Ivoire has a seat of the United Nations Security Council as a non-permanent member, and is defending the cause of peace and security in Africa and in the world. 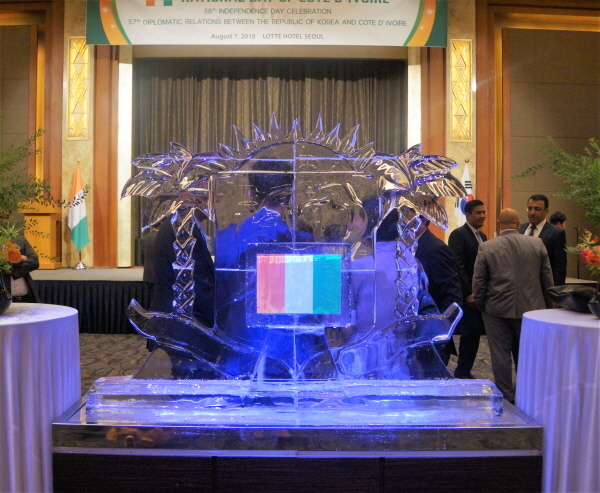 Ice logo work of Cote d’Ivoire at the reception venue. Our country, which will preside over the Security Council in December 2018, has the opportunity to share its experience of a successful resolution of the crisis. 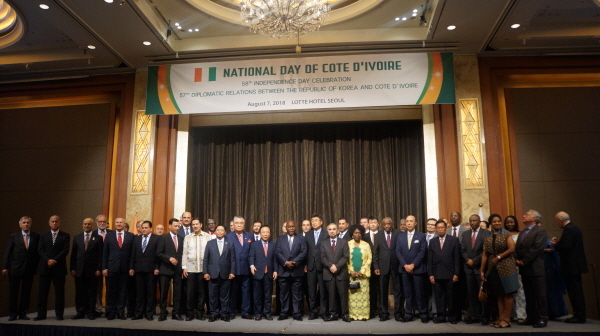 Since 23 July 1961, Côte d'Ivoire and the Republic of Korea have had the foresight to develop multifaceted cooperative relations that have been strengthened over time. 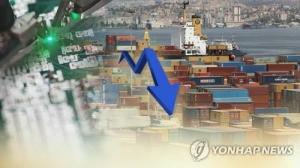 Trade is intensifying, and I am delighted by the growing popularity of South Korean business operators for Côte d'Ivoire. Their presence is remarkable for their proven expertise. I also welcome the signing, in February 2018, of an agreement for the construction of a large radiotherapy and oncology center in Abidjan at a cost of about $ 110 million. Finally, I remain convinced that with the official opening of the Korea-Africa Foundation, on June 25, 2018, other areas of cooperation will be identified and explored, for more fruitful bilateral relations. Thank you for your kind attention. 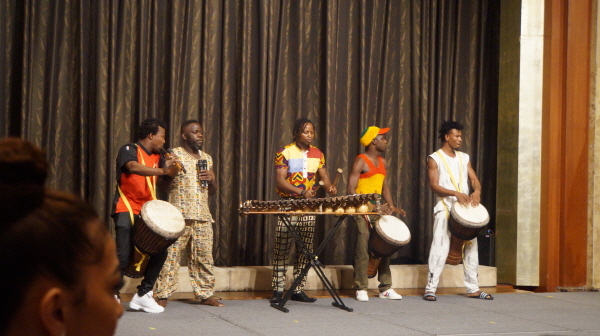 Cote d’Ivoire students present traitional performance of their country. It is my honor to be part of this auspicious occasion to celebrate the 58th anniversary of the Independence of the Republic of Côte d’Ivoire. On behalf of the Government of the Republic of Korea, I would like to extend my heartfelt congratulations to the people and the Government of Côte d’Ivoire, our oldest friend in Africa, the friendship of which dates back to the year 1961. Even in the midst of the sluggish global economy, the aspiration of the people and will of the government for a better and more developed nation have led Côte d’Ivoire to emerge as one of the fastest growing countries in the world. It is no wonder this dynamic country will be the one of the fastest growing nations in the world this year according to the World Bank. Moreover, the establishment of the African Continental Free Trade Area in March, which Côte d’Ivoire joined, is generating even more opportunities for economic development, considering the high status of Côte d’Ivoire in West Africa. Students of the International Youth Fellowship in Seoul. 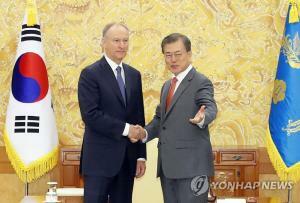 I am proud to say that Korea has contributed to the economic development of Côte d’Ivoire. Two power plants built by Korean companies, AZITO III and CIPREL IV, are the unsleeping engines that support the industries of Côte d’Ivoire. The road that connects between Ferke and Ouanglo is working as the one that paves the way for further development. Moreover, I am glad to share the good news that the EDCF Arrangement for the National Radiotherapy and Oncology Center, signed early this year, will be another cornerstone that contributes to enhancing the quality of living of our friends. 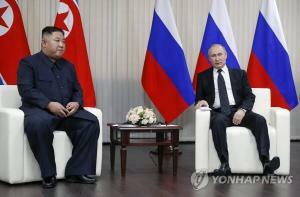 I think we still have more potential for further cooperation, which will lead us to the prosperity of both sides. On this occasion, I thank all the people of Korea and Côte d’Ivoire who have made contributions to deepening bilateral relationships in their daily lives. For example, Dr. Ahn Soon-gu--known as the "Korean Schweitzer"--devoted his life to providing medical care for 31 years in Côte d’Ivoire. Following his path, there are 19 young volunteers, dispatched by the Korean government, who have been members and friends of the local communities. Many of them have been committed to teaching the youth, the future of Côte d’Ivoire. In the meantime, 20 students from Côte d’Ivoire have had opportunities to study in Korea supported by the Global Korea Scholarship program. Though their numbers are relatively small, they are priceless diplomatic assets for both countries by promoting two-way exchange. I believe more personal exchanges and increased understanding between the two peoples will help overcome the geographic distance between our two countries. Before closing my remarks, I would like to express my sincere gratitude to the Government of Côte d’Ivoire for supporting the policies of my government regarding Korean Peninsula issues. Houphouët-Boigny, the first President of Côte d’Ivoire, once stated “Dialogue is the weapon for the strong” which provides guidance for Koreans seeking to establish permanent peace on the Korean Peninsula. 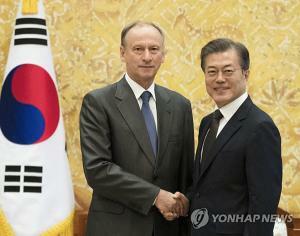 We are expecting continuous support from Côte d’Ivoire, especially as a member of the Security Council this and next year which will be a turning point in history for the Korean Peninsula and the rest of the world. I would like to thank, once again, His Excellency Bilé, Ambassador of Côte d’Ivoire, for his unsparing support and efforts for strengthening the Korea-Côte d’Ivoire relationship. And I would like to send my deepest gratitude to all the participants for sparing precious time. Seeing the scorching weather you’ve gone through to be here, I am sure that we are now much more than just ‘fair-weather friends’. Thank you/Merci beaucoup. 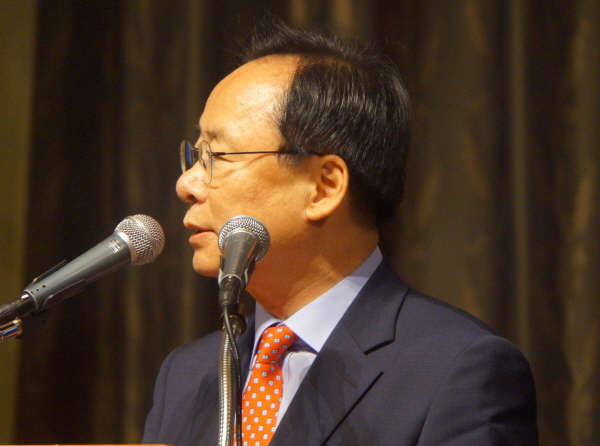 My name is Lee Ju-young, Deputy Speaker of the National Assembly and President of the National Assembly Forum for Africa’s New Era. It is a great pleasure and honor for me to be with you today to extend my heartfelt congratulations on the 58th anniversary of the independence of Côte D’Ivoire. Côte D’Ivoire, also known as Ivory Coast, has achieved a vibrant growth in investment and production on the back of political and economic stability and development since its independence. With its national competitiveness growing day by day, the country has been setting a great example for countries around the world. Its economic capital, Abidjan, which is cited as one of the most beautiful cities in Africa, is home to the headquarters of the African Development Bank (AfDB) and has grown into one of the leading cities in the world. In particular, Côte D’Ivoire has seen its international stature rising further with a seat on the UN Security Council as a non-permanent member for the term 2018-2019. Côte D’Ivoire, which has been transforming itself into a rising power thanks to phenomenal economic growth, gradual political stability, abundant resources, and infrastructure development, established diplomatic ties with Korea in 1961, becoming the first country to do so in Africa. Ever since, for more than half a century, our two countries have been developing close ties of friendship and cooperation, sharing universal values. Exchanges at all levels, including at the parliamentary level, have become more active and economic cooperation has been deepening. Concrete plans and initiatives have been driving cooperation in the field of culture as well, helping our bilateral relationship to mature. I hope that this significant milestone today will serve as a great opportunity for the Republic of Korea to further strengthen its relationship with Côte D’Ivoire, the Elephant of Africa. I also hope that the unique experience of Korea, which achieved both economic development and democratization, can be shared to provide a fertile ground for Côte D’Ivoire to grow and thrive on. The National Assembly Forum for Africa’s New Era will continue to make efforts to consolidate cooperation between our two countries in a wide range of areas in collaboration with the Korea-Africa Foundation. Let me congratulate you, once again, on this significant occasion.